Welcome to Dimmick and Sons Nursery! 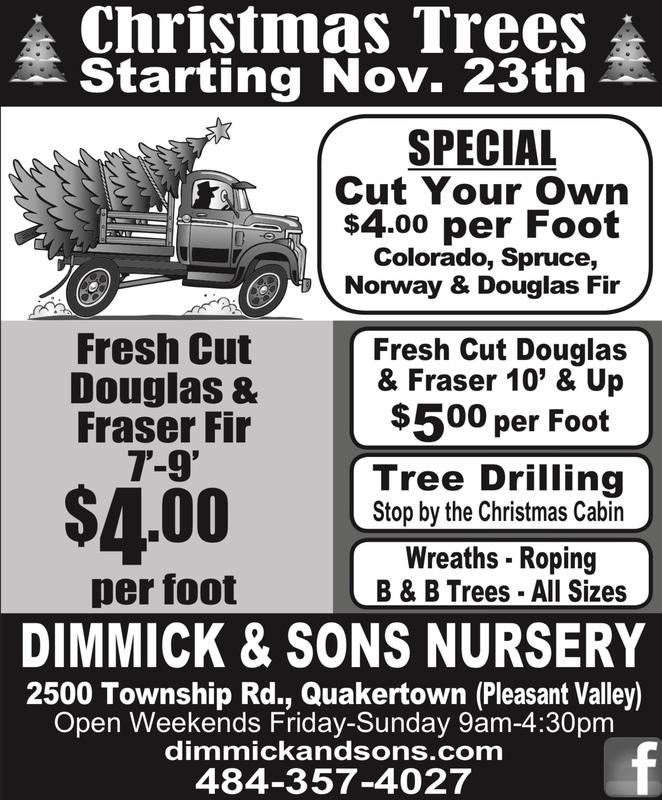 In addition to Christmas Trees, Dimmick and Sons Nursery grows all different varieties of evergreens. Open for wholesale, Dimmick and Sons Nursery has what you need. Check out our Wholesale section for ordering information and selections. Our nursery is located in Upper Bucks County in Historic Springfield Township at 2500 Township Rd., Quakertown, PA 18951 (Pleasant Valley). The nursery sits on a beautiful 100 acre farm that has views from every direction. A great place to get into the holiday spirt! Come vist us today!